Charlie Camilleri befriended Tony Bennett and many other artists in the CBS Records stable. 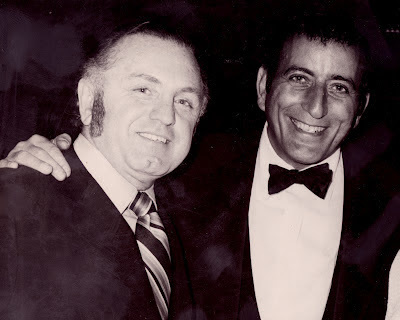 Charlie Camilleri romped with Ronnie Hawkins, sang along with Mitch Miller, got rhythm with Johnny Cash. Camilleri, who has died, aged 88, spent 30 years with CBS Records in Canada, proving so adept at promoting artists that many professional relationships became personal. He befriended a roster of performers reflecting the record label’s vast stable. Pop singer Bobby Vinton, country singer Ricky Skaggs and jazzman Wynton Marsalis all made a point when in Toronto of seeking out Camilleri. He got along famously with members of the group Chicago, as he did also with the groups Boston and Kansas. Camilleri often found common ground with the artists by talking sports. Once, while tossing a football to Jimmy Dean, he unwittingly sent the country singer tumbling backwards into a fountain. Camilleri had a fireplug physique, so it undoubtedly surprised many to learn he had once been a professional athlete, winning two Grey Cup football championships with the Toronto Argonauts. He also won a national title as a slugging softball player. With Cassius Clay (later Muhammad Ali) in 1963. He was born in Toronto on April 3, 1923, to Mary and Joseph Camilleri, immigrants from Malta, who named their third son Charles Emmanuel. His father and older brothers Michael and Vincent worked as labourers at a Dominion Tar and Chemical Co. (later Domtar) plant in Toronto. After studying at Parkdale Collegiate, Camilleri enlisted in the wartime army, soon after moving to the Royal Canadian Navy. He served in the radar room aboard HMCS Gatineau, a destroyer that escorted convoys in the Atlantic. On one mission, a torpedo fired by a German U-boat narrowly missed the warship. “One thing I can tell people is that it makes a man out of a boy in a hell of a hurry,” he told the Toronto Star six years ago. 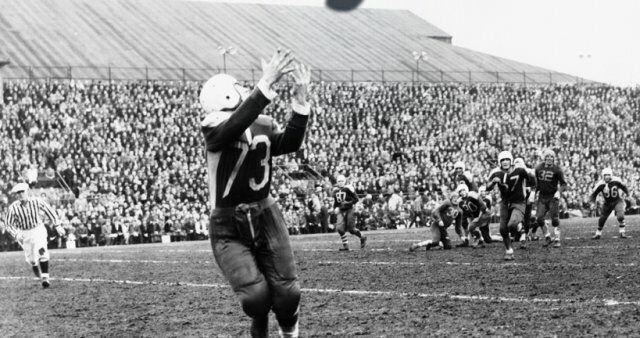 While stationed at HMCS York in Toronto, Camilleri played for the navy football team coached by Teddy Morris, who had been an all-star running back and flying wing with the Toronto Argonauts. After the war, Morris became head coach of the Argonauts and Camilleri earned a spot on the roster for the 1946 campaign. He stuck with the Big Four club for three seasons, winning the Grey Cup alongside the likes of star players Royal Copeland and Joe Krol. At only 145 pounds, Camilleri proved susceptible to injury in the hard-hitting Big Four, a precursor to the Canadian Football League. He suffered a separated shoulder in 1946 and a fractured pelvis in 1947. In summer, Camilleri patrolled right-field for a fast-pitch softball team sponsored by People’s Credit Jewellers. The Toronto team claimed the Dominion championship in 1951 by sweeping the Vancouver Girodays 2-0, 2-1, and 17-1 in a three-game series played at Calgary. After retiring from the gridiron and the softball diamond, he took a position with the federal government aiding fellow veterans. In 1958, he joined Columbia Records of Canada (later CBS Canada), eventually becoming national promotions director before being named national director of artist development in 1977. He retired in 1988 as a vice-president. 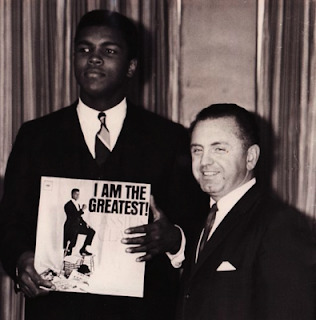 One of his odder responsibilities included promoting a long-playing record featuring a brash, young American boxer named Cassius Clay, soon to change his name to Muhammad Ali. The 1963 album featured the pugilist’s spoken-word recitations backed by music. The disk was called “I Am the Greatest!” Considering the performer, the title carried with it not a hint of irony. Camilleri was an indefatigable promoter, earning a reputation as a stalwart defender of country music even as rock became the dominant genre. He successfully encouraged concert promoters seeking a rock audience to bill harder-edged acts with crossover potential such as Charlie Daniels and Larry Gatlin. After the singer and keyboardist Burton Cummings left the Guess Who, Camilleri flew across Canada armed with boxes of a debut solo single to ensure Cummings got radio airplay. “Stand Tall” became a Top-10 hit in both Canada and the United States. A suit-and-tie man, Camilleri was a mature presence on the pop music scene. One of the young radio station music directors who heard his pitches recalls him “looking more like a bank manager than a record rep.” The executive dressed in looser styles when attending concerts, including wearing a Hawaiian shirt while promoting Dennis Wilson of the Beach Boys. With his music connections, he was sometimes mistaken for Charles Camilleri, a world-famous accordionist regarded as Malta’s national composer, who also lived for a time in Toronto. The men were not directly related. Even in retirement, the executive remained an active supporter of such charities as the Variety Club of Canada and the Tony Stacey Centre for Veterans Care. The players from those great post-war Argos teams were so poorly paid they took as their reward the honour of knowing they were the best in the land. Camilleri died of congestive heart failure on Dec. 23. He leaves his wife, the former Margaret (Peggy) Larsen, whom he had met while she worked on the order desk at the record label; sons Ron, a former record-company executive who now performs an Elton John tribute, and Rick, a former president of Sony Music Entertainment (Canada); and, a grandson, Spencer. A celebration of his life is to be held at 2 p.m. on Jan. 28 at the Royal Canadian Legion at 150 8th Street in Mississauga, Ont. Charlie Camilleri (No. 73) won two Grey Cups with the Toronto Argonauts after serving in the navy in the Second World War.